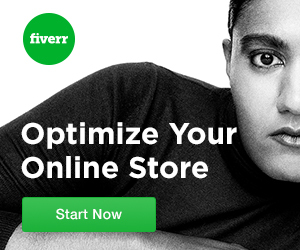 Fiverr is the world's largest freelance services marketplace for lean entrepreneurs to focus on growth & create a successful business at affordable costs. In the West, this freelancer hiring platform is highly popular among small and medium enterprises. I personally use this platform for my business needs. Example, business card design, logo design, basic web design and content writing. Some of these services are popular for small business who are usually one-man show and such delegation of work task allow a businessman to focus on their core business activities. However, it is important to follow the below guide in order for you to seek out the right freelancer for your need. Due to the nature of a marketplace, it is important to study the completed number of gigs and compare it with the number of positive feedback before deciding on your help. First, before you proceed to hire, always check the feedbacks against the number of completed gigs. Second, seek out multiple sellers gig and do a comparison. Ask for a sample of past work if needed but usually, this is not important since the seller would show cast their past work for potential buyers to review on the sales page of gig directly. Thirdly, try to target new seller on fiverr as they will over deliver in return for a positive review of their gig. I have tried many times on this and it has worked wonders for me. I almost always get work that over-delivers every time I use this method to place an order for gig. You can order almost everything (that can be digitally delivered) on fiverr. I have placed orders for animation as well as voice over, programming and web design. It is my first stop to order online services so that it frees up my time to focus on my core work. Check out Fiverr now and place your first order. You will be surprised how easy it is to hire and get the work done.